Wisdom of Life. 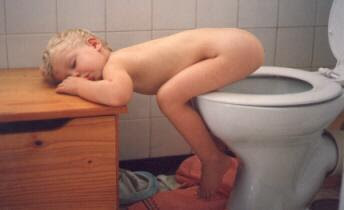 : HAVE YOU EVER BEEN THIS TIRED?? How i wish i could sleep like this baby! Baby is pure, innocent, sinless, cute and likable. All of us started with these beauties of life but time and environment changed us to be different. We could have grown to be more knowledgeable, but our mind have lost the impurity and the adorable attraction. The impulsiveness, rebellious, arrogance, anger, etc in our behaviour make us stressful and tense. We could be very tired, we would never be able to sleep like a carefree baby for sure. Anyway i am lucky coz this morning, little darling whispered to my ear..."Beautiful Sunday my love. Its indeed feeling so wonderful that my babe is still snoozing there with his warm pillow. I loveeeee youuu!!!" Hey! I am still a baby to someone you know. I hope my picture can make you laugh and smile for the day. But the child that is born on the Sabbath day Is blithe and bonny, good and gay.